Milan, Illinois‎-based Lewis Machine & Tool Company announced last month that they will be relocating their manufacturing plant and headquarters to Eldridge, Iowa. While the shift is only about 25 miles south as the crow-flies, LMT president Karl Lewis told local media the atmosphere was more welcoming in the Hawkeye State than in the Land of Lincoln, with a succession of Iowa governors assisting in laying the groundwork for the move. LMT was founded in Milan in 1980 with an eye towards military, law enforcement and government agency sales, later expanding to include foreign government contracts with U.S allies as well as commercial retailers. 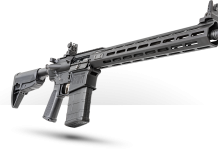 The company makes a wide range of Monolithic Rail Platform M4s as well as M203 grenade launchers and AR-10 style Monolithic Weapon Systems, the latter chambered in 7.62x51mm NATO and up. 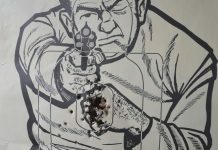 LMT has also been working on a Confined Space Weapon and was one of the companies tapped by the U.S. Army for their recent Sub Compact Weapon contract. 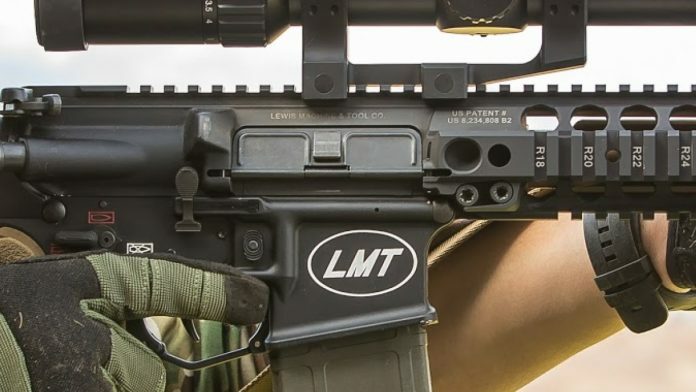 In overseas sales, the militaries of Estonia and New Zealand both rely on LMT-made AR platforms as their primary infantry rifle besides a $30 million deal for DMR rifles with the United Kingdom in 2009. The move to the new $7.3 million, 75,000 sq. ft. location in Iowa will double the size of the company’s current manufacturing space as well as allow it to consolidate three separate operations under a single roof, which should yield a more streamlined process. “We had outgrown our facilities and by integrating into one building we’ll see some efficiencies and economies of scale,” said Lewis. 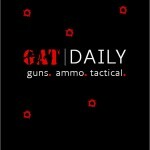 The shift from Illinois by LMT is not the only time that a gun industry vendor pulled stumps for more friendly digs. Although Olin-Winchester is still headquartered in the state, for the past several years they have been rapidly shifting manufacturing jobs to their plant in deep red Mississippi, a key ammo maker for the military that produces everything but shotgun shells.